May 9, 2012 by Ken Ward Jr.
Emily Bernhardt, a Duke University aquatic ecologist, detailed what she said are the conclusions of numerous scientific studies about mountaintop removal’s impacts on the region’s important headwater streams. “It’s an enormous change in the chemistry of streams compared to what we see before mining,” Bernhardt told U.S. District Judge Robert C. Chambers. Bernhardt said the science is clear that mountaintop removal not only buries streams with valley fill waste piles, but also sends harmful levels of various pollution runoff into stream reaches beyond those fills. Bernhardt walked Chambers through a list of previous scientific papers that have shown impaired aquatic life — measured through reduced diversity of insects — downstream from mining and valley fill sites. Bernhardt said studies have clearly shown this impairment related to high levels of electrical conductivity, caused by sulfates and other mining pollutants. “The weight of the evidence is very strong,” Bernhardt said. … [Citizen group attorney Joe] Lovett asked if any peer-reviewed scientific papers have been published that contradict this conclusion. “Not that I’m aware of,” Bernhardt said. As best I could tell, I was the only member of the West Virginia media to attend the hearing. The solid scientific consensus about mountaintop removal’s damage to our environment — not to mention the growing evidence of its impacts on public health — doesn’t get a lot of traction with local media, where if the story is told at all, it’s generally told with false balance that presents coal company public relations statements on equal level with the weight of the scientific evidence. It was election day, though — so most reporters and editors spent the day in hurry-up-and-wait mode, preparing to push out numbers when the returns came in last night. If only as much effort were put into really informing the public about the hard issues facing our state’s coalfields as is put into churning out those returns, speculating or “calling” races, and — thanks to modern social networking — “tweeting” about either the results. Because when you think about it, what was going on in federal court yesterday not only said a lot about one of the most covered, and yet poorly covered, issues in West Virginia, but it also showed perfectly what’s so often wrong with the way our political and media establishment here ensures that some of the more important, but also more uncomfortable, challenges we face as a state aren’t really discussed in a way that would help us move forward. In the courtroom, Alpha Natural Resources — the “new ownership in Southern West Virginia“, as Rep. Nick Rahall likes to call them, attempting to paint Alpha a better than Massey Energy — is doing all it can to limit what can be talked about in this lawsuit before Judge Chambers. Oddly, so is the Obama administration. And so is Judge Chambers. Alpha argues the judge has little ability to consider whether the Army Corps of Engineers was right or wrong in issuing the permit that’s being challenge. Obama lawyers contend citizen groups have no right to put on new evidence, such as the science the Corps ignored when it approved the permit. And Judge Chambers wanted no part of any discussion of those WVU studies linking mountaintop removal to serious public health damage in the coalfields. Obama’s energy policies and the Environmental Protection Agency’s handling of mining-related permits have incurred the wrath of West Virginia’s coal industry. With the state the nation’s second-biggest producer of this fossil fuel, Gov. Earl Ray Tomblin and Sen. Joe Manchin -both Democrats have championed the industry – have declined to say whether they will support Obama in November. Unfortunately, the more important part of all of this doesn’t fit neatly into a quick-hit political story churned out late on election night. I’m not knocking Larry here. But the way the media covers elections, with the focus on the horse race, the advertising war, and the soundbites, doesn’t lend itself to a broader perspective. The conventional narrative, championed by Gov. Tomblin and Sen. Manchin is this: President Obama and his people have some ingrained, unreasonable hatred of the coal industry (or maybe all fossil fuels), and their “war on coal” is killing our state’s economy. The unavoidable conclusion from this narrative is that if we could just get Obama and his EPA off our backs, West Virginia would boom again — we could have 100,000 coal miners working again, and places like McDowell County would have three movie theaters and instead of being a string of ghost towns. — There are plenty of reasons to be worried about the coal industry’s impacts on environment and public health. 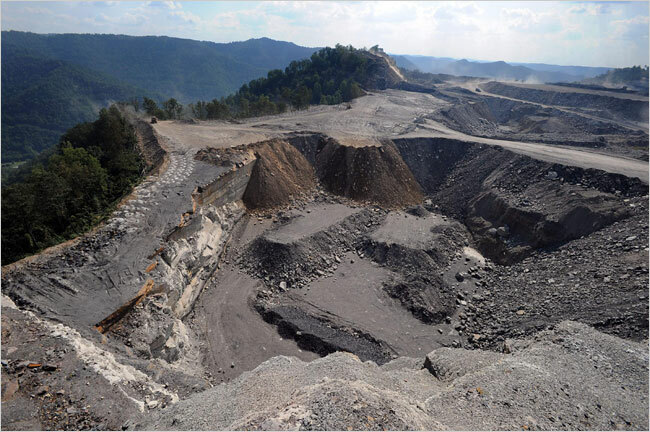 There’s the clear science showing mountaintop removal’s pervasive and irreversible impacts on the region’s environment. 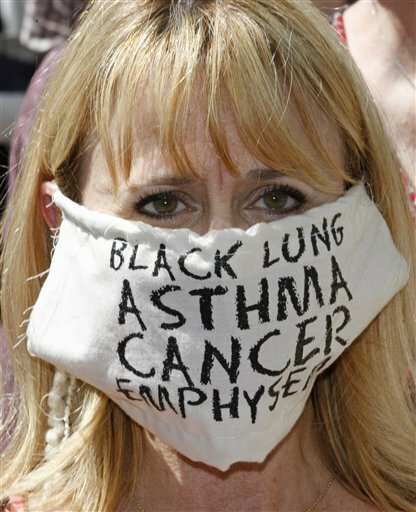 There’s the growing evidence linking mountaintop removal to serious health problems, including cancer and birth defects. And there’s the overwhelming evidence tying the burning of coal to a variety of other serious health problems and premature deaths. — While coal provides good-paying jobs to a fortunate, but ever-declining few in Appalachia, the last decade has seen the return of coal mining disasters at Sago, Aracoma, Kentucky Darby, Crandall Canyon and Upper Big Branch. And far, far more miners die — 10,000 in a recent decade — from black lung, a deadly disease that’s on the rise again in our region. — Coal is a major contributor to global warming pollution, a matter that most scientists consider a grave threat to humanity. The only way to keep using coal and combat climate change at the same time is to deploy carbon capture and storage technology broadly on power plants around the world. Experts agree that won’t happen unless there are binding emissions reductions — something the Obama administration has proposed for new power plants in a rule that’s the latest step by EPA to prompt ridiculous rhetoric from folks in the industry. — In Central Appalachian — meaning Southern West Virginia — coal production is in the midst of a serious decline that’s likely to see output cut in half by the end of this decade. 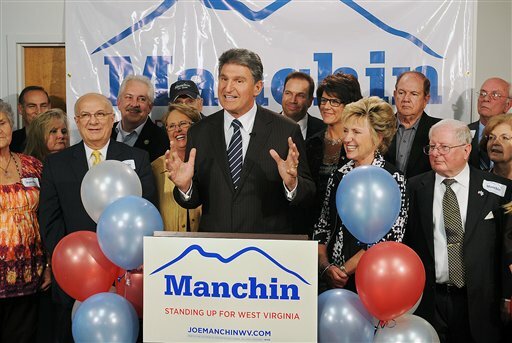 This trend will hit the region hard, but just try to get Sen. Manchin or Gov. Tomblin on the record about it or about their plans for seeing the state and its residents safely through this turmoil. As has been well documented, this trend has little to do with government regulations, but you won’t hear that from our political leaders. But these aren’t things that Gov. Tomblin and Sen. Manchin want to talk about — and they aren’t things that either of them want you or me to talk about, either. And most of the media coverage goes right along with it. The standard campaign story now is most likely to focus on complaints from Republicans John Raese and Bill Maloney that the Democratic incumbents haven’t done enough pandering to coal supporters. If you look closely at what both Gov. Tomblin and Sen. Manchin have said regarding their willingness to vote for President Obama in November, it all boils down to coal. And neither of them has really articulated any clear plan for dealing with the above-stated problems, except to ignore them and attack EPA — over and over and over and over. Some in the media are pointing fingers at the Obama campaign this morning, questioning why top officials — perhaps including the president — haven’t come here to explain their policies. Two things come to mind in that regard. First, does anyone really believe that if President Obama or EPA Administrator Lisa Jackson came to West Virginia to discuss mountaintop removal, global warming, or air pollution rules, that they would get anything remotely approaching fair treatment from say, West Virginia MetroNews or the Daily Mail? Shouldn’t the media be telling readers what the real impact of the administration’s policies is, regardless of whether they get to cover a presidential visit along the way? How can we fail them? How can a nation that relies on its miners not do everything in its power to protect them? How can we let anyone in this country put their lives at risk by simply showing up to work; by simply pursuing the American dream? We cannot bring back the 29 men we lost. They are with the Lord now. Our task, here on Earth, is to save lives from being lost in another such tragedy. To do what must be done, individually and collectively, to assure safe conditions underground. Do you think much of West Virginia’s media will focus between now and November on whether President Obama or Mitt Romney would be better for miner safety and health? Will there be many stories about efforts by Republicans in Congress to strip MSHA of its ability to do something about black lung? Although West Virginia has almost two-to-one Democratic registration, this rural, less-educated state slipped into the conservative “red” category in national politics, as Dixie did previously. I’m not sure that exit polls from the 2008 election (the only real data I’m aware of that might explain why West Virginia voters didn’t cast ballots for Obama) really support the notion that being a “less-educated state” had a lot to do with the vote for John McCain. That data cuts both ways. West Virginia had a higher percentage of voters who were not college graduates than the nation as a whole. But the Obama-McCain split among non-college graduates was almost the same as the state’s split as a whole. And among those who described themselves as only having graduated high school, the percentage who voted for Obama was only slightly below the national figure. West Virginians who are fortunate enough to have attended and graduated from college don’t much like it when anybody in the media refers to the state as generally under-educated. But as the good folks at the West Virginia Center for Budget and Policy have pointed out, our state’s lack of educational attainment among residents is a major problem that needs much more work — and pretending this problem doesn’t exist isn’t likely to accomplish anything. It reminds me of folks who take great offense when the national media publishes photographs of snake handlers or Klan members in rural parts of Appalachia, yet don’t seem to mind when the coal industry responds to health studies linking coal-mining to birth defects by trying to blame it all on inbreeding. Manchin and Tomblin say their aversion to Obama stems from the federal administration’s effort to reduce coal pollution and damage, which imperils coal industry jobs. But, in reality, out-of-state coal corporation owners care nothing about West Virginia jobs. This state had 125,000 miners just after World War II, but mine owners installed huge machines that eliminated 110,000 miners in this state. Even if conservatives in Congress halt White House pollution restrictions, it wouldn’t guarantee that out-of-state owners would hire more West Virginians. Instead, they’d probably buy bigger machines. … Persons who have studied the impact of coal mining on different societies from Silesia to northern Japan have usually concluded that coal has been a curse upon the land that yielded it. West Virginia is no exception. In its repetitive cycle of boom and bust, its savage exploitation of men and nature, in its seemingly endless series of disasters, the coal industry has brought grief and hardship to all but a small proportion of the people it has touched. There has been, of course, a tiny elite of smaller producers and middlemen who grew rich from coal exploitation although not so rich as the nonresident owners in whose shadow the local elite worked. For those West Virginians who lived at a remove from the industry, its impact has been more ambiguous. Certainly coal created opportunities that were not there in the agricultural era, but it also created new problems, especially as the owners of the industry have always tried and have usually succeeded in passing off the external or social costs of coal production to the public at large. Moreover, the industry called into being a larger population than West Virginia’s other economic resources can support so that, even after the great migration of the postwar years, the position of the state is like that of an addict. West Virginia is ‘hooked’ on coal, for better or for worse. In the past, it has generally been for the worst. Complaints from Sen. Manchin and Gov. Tomblin about the proposals from the Obama administration to deal with coal’s worst aspects would have more credibility if, instead of ignoring these issues, instead of refusing to talk about them and hoping nobody else would, if instead they confronted climate change and mountaintop removal, and mine safety and the coming market collapse, and outlined their own plans for dealing with these challenges. Ken, excellent post. It is very disappointing to read some of the tweets from members of the media who are obsessed with the horse race instead of policy issues and everyday problems that matter to working people. According to WVMHST (http://www.wvminesafety.org/default.htm) , there were 22,336 coal miners employed in 2011. This is the highest WV coal mining employed has been in 17 years (since 1994), according to WVMHST. This is hard to reconcile given that we have been living in “Obama’s NO JOB ZONE” for over three years. If state leaders do not begin to plan rationally for the dramatic impact that the decline of coal production is going to have on the state (especially southern WV), it will be too late to ensure that the state has a stable economic transition. One of the central reasons why our mining counties are worse off today is that no one in government (absent Marland, perhaps) had the foresight to plan for economic transition. I would not be surprised in 15 years or more to learn that what is happening in Detroit today is happening in the southern coal fields. Excellent essay! I can’t think of a word I would add or remove from it. Thank-you! I’d like to see the EPA run an ad campaign with the facts. And, I’d like to see the effect of environmental mercury included. Coal fired power plants are the biggest source of mercury in the world. Mercury is linked to autism, Alzheimer’s Disease, and ADHD. So, it would be nice to see a push back of some kind. After all, it is the people of our state that will bear the burden of major health issues so that the multi national coal corporations can continue to exploit our resources. Couldn’t have said it better myself Ken! Keep up the good work! 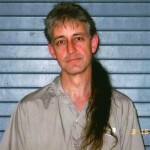 Thanks Ken for pointing out the majority of WV media’s refusal to report on the facts. 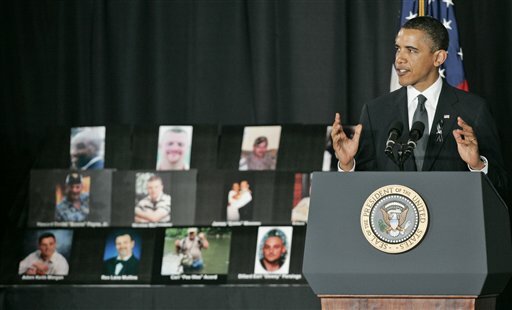 Since Obama administration (with its “good agency/bad agency” multiple personalities) has nothing to gain by a “pushback” campaign, and since citizen groups don’t have the funds needed for a sustained ad campaign to air the truth, public perception is generally influenced by “attack on coal” reports. Suggestions for getting the truth out there? Where are the environmentalist with these high profit sustainable energy jobs? I personally love green energy but I’m also smart enough to know it isn’t viable enough to just kill coal. Coal = jobs in WV. Mountaineers live free no more cause a war on coal was declared by Obama. Mercury, autism, Alzheimer’s Disease, and ADHD….. not an issue with coal itself but instead end use of it. All the diversion from investing in clean coal technology to “greener” sources really helping. Kill America….while the rest of the world is burning or buying us. Brain trust 101. Thanks, Ken, for an excellent, detailed, passionate post. By the time the coal industry gets finished in West Virginia, there will be nothing left of our beautiful state. Thanks, Ken for trying to get this discussion started. I am not a west virginian and I do not understand why you Ken and the other that post here are against the coal industry like you all seem to be when if it were not for coal what would WVa be. The Dem. have ruled this state for a long time and most would vote party lines in your state to rid it of coal except in the southern part of the state. Why is this? Sentor Byrd was not totaly against the coal industry he helped it in so many ways the mine safety laws would not be what they are to day if he had not cared for the miners and their industry. If the EPA has its way and the green movement does do away with the coal mining in your state who will keep youall up? What other industrys are tearing your doors down to come to your state? Know I don’t expect this to get posted given your policys but at least I tried. Great Piece, Ken. Keep it up. More importantly, the WV coal business IS going to go away and sooner rather than later. That departure will not be because of anything Mr. Obama or the EPA have done. It will be because there is less and less coal to get. Once it’s gone, as Ken notes, it appears we will be left holding the all-too-empty bag, as we always have in coal’s boom-and-bust cycles. This time, however, the final “bust” will not be followed later by another “boom.” The coal will be gone and neither our coal-owned media or our coal-financed politicians seem to have any interest whatsoever in addressing the issue. The coal industry itself wants to keep the issue off the radar since candidly answering the questions would prove highly embarrassing. The greater question, I think, old one, is how will West Virginia prepare for what will be a brutal time in the very near future? Where is the economic planning against that day? Where is another national-level politician with the courage to speak to that day in the absence of the brave, late words of Senator Byrd? Why would we expect a just economic transition in southern WV when most of southern WV is (and has been) rendered largely unfit for human habitation by the relentless drive of out-of-state corporations to utterly devastate the region in pursuit of profits that seldom ever benefit those who live here? Where, beyond Ken’s inquiries on this topic, are the other members of the media in asking these questions? Where is the concern for a West Virginia not a hundred years from now but a mere TEN? I’ve certainly not seen it in evidence in any of WV’s other newspapers, nor television stations nor, certainly, its radio outlets. That is a Fourth Estate failure of epic proportions for an issue so critical. I have been asserting for over a year now that West Virginia’s political, media and economic “leadership” have reached a point where Coal has become an orthodoxy approaching religious status. In an orthodoxy, one may not question tenets, but must accept them as received from some greater power. Ken, to his enduring credit, seems yet willing to nail theses to Coal’s door, and many of us ask the same questions. Until WV’s power structure addresses them, however, we will remain on a path to a future that is, for a parent and grandparent like me, almost too grim to contemplate. The point is well made that Manchin, Tomblin and some media won’t talk about “coal’s worst aspects”. The obvious question is why not? What would it mean for those politicians and coal defenders if they actually addressed the science of the downside of coal mining? And is there really a difference between willful neglect/avoidance/ignorance and acknowledging that people are being harmed yet doing nothing to stop it? I consider this to be the most comprehensive rebuke of the coal industry’s “war on coal” public campaign to be published. According to Workforce WV, there were 23,415 employed in coal mining (NAICS Code 2121) in the 3rd Quarter of 2011 (the latest data we have). 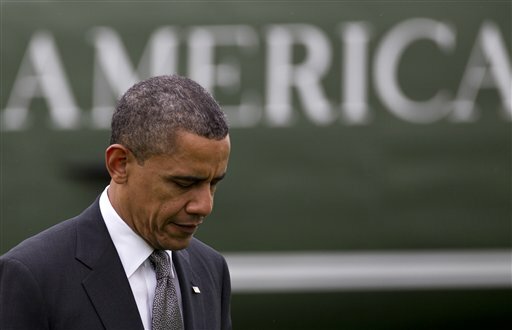 In 1st quarter of 2009, when Obama took office, it was 21,844. That’s a gain of 7.4% or 1,517 jobs in coal mining industry. Meanwhile, total employment over this period grew by only 2.9% – from 688,695 to 708,680. Data for 2012 1st quarter should be out soon. This should be required reading for all West Virginia politicians. What an incredibly honest and powerful analysis and commentary on this vital issue. Very good article. And true.The coal companys could make the mines safer,&produce clean coal they have the tech. Its all about the money. My DAd was a coal miner, But he went under ground to dig it. The mountain top removal is a shame They are not miners but heavy equipment operators. Well thought out and written piece. It is a shame the rest of the media in WV is as good. Well done Ken. Over the fence and over the freeway home run, Ken! Thank you! Excellent piece, Ken, and excellent comments. This blog deserves a wider audience, and West Virginians deserve to be better-informed. It is apparent that you put a lot of time and energy into this blog, and I’d love to see your words in print. Why won’t the Gazette publish a print version of Coal Tattoo, which might be able to reach a critical mass of readership? Yogi, your statement, “…they haven’t brought the first job to WV…” is false! My grandson worked in the Build it UP WV Program the last two summers. I guess you never heard of it. This group worked with small grassroots organizations that are investing their own money in providing alternates to coal. They can get no or little WV funding – they must fight to stay alive. OVEC employs native West Virginians in many programs. For example: One mission of the Ohio Valley Educational Cooperative is to provide high quality services and programs that support, empower and build capacity in school learning communities, to ensure that students achieve college/career readiness. One of their employees led a group of Mingo County Students in media training. You should have seen the group at work at the Whipple Company Store Museum or the WV students involved in the archeology project there. Three young people received funding at the Blair Community Center this year. They got the center open with a program to share our history. The Coal Country Tours came there. One of the paying tourist said, “There young people at Blair have completely changed my view of the youth of WV – they know their history so well and are passionate about it.” Yet, the coal company just put up a gate to keep the tourists off of the public road, so they cannot see and hear that history (state officials closed the road). The Museum is also in danger. Both Sierra, and OVEC have given money to support this work – but it’s so difficult to do anything in WV except support coal. What will we do when coal is gone? You had better pray these groups succeed! From my perspective the downside of coal is a given. It’s dirty, unsustainable and inevitably will go away. But I want to see more real investment in the post-coal era. Thanks to Wilma Lee for pointing out some worthwhile efforts. We need to push investors in green and other industries. I don’t read Tattoo often enough; are there efforts going on that we can support? How many times have you seen those gigantic Walker Machinery billboards that say, “Yes, COAL. Clean, carbon-neutral COAL” ??? Never mind that coal is NEITHER, nor will it be anytime in the foreseeable future. What really gets me is that the coal industry, for all its promotion of a “clean, carbon-neutral” fuel, now informs us that any efforts to MAKE coal clean and/or carbon-neutral will destroy the industry. I updated our blog post (http://blog.wvpolicy.org/2012/05/12/1500-coal-mining-jobs-created-since-obama-took-office-2.aspx) on the number workers employed in the coal mining industry. It also includes the number of support workers in the industry. Thank you for a well written & researched article exposing the politics of coal. I am a WV resident, I have seen the devastation of MTR mining. The flooding, health impacts, and complete environmental devastation.As a RN i have taken care of many a miner with black lung & the miner’s family members with cancer. I myself have auto immune diseases one of which my urologist said was impacted if not caused by the water i drank in WV. This earth is ravaged by man. We have the technology to do better for all people but will money & those in power who seek ever more money ever allow that? The simple truth about coal is that there are, and have been better ways to use it. Most of them are more profitable than the current “up the chimney” approach. Did you ever hit a golf ball with carbon fiber shaft driver, or cast for that bass with a composite rod, hunt deer with carbon shaft arrows? Coal is too valuable to burn. I’m sure the NasCar fans realize that carbon composites are a great deal of any race car chassis. If coal is to continue to be part of the economic mix, do it cleanly and with higher profit value added, higher tech products. What is more valuable, a ton of coal or a ton of carbon fiber? Coal “contains” valuable products, including the mercury, sulfur, etc if separated and used appropriately. Coal in West Virginia is clearly now competing with cleaner although still fossil fuel, natural gas. Coal could join, instead of fight, the prosperity by looking to gasification to methane, and becoming a provider of clean product to a “natural gas infrastructure”. Don’t truck it, or barge it… put into “the pipeline” at the mine site. The processes are “not rocket science” and are constantly being improved, if leaders will quit pretending that all we can do with coal is “burn it like we’ve always done”. So, why haven’t we seen this in the gazette?